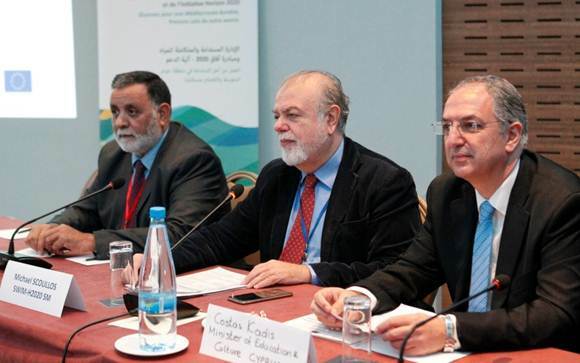 Nicosia, Cyprus hosted the 12th Meeting of the Circle of Mediterranean Parliamentarians for Sustainable Development (COMPSUD), where on Wednesday the 22nd of November, the new Board of the Circle was elected. Dr. Dionysia-Theodora Avgerinopoulou, who chaired the Circle for the past four years, promised to remain as committed and active as she was during her Chairmanship. She passed the torch on to the Moroccan Member of Parliament, Moh Rejdali, while the two new Vice-Chairs are now the Egyptian Member of Parliament Mohamed Khalifa and the Greek Member of Parliament Kostas Skrekas. Exiting COMPSUD Chair Dr. Dionysia-Theodora Avgerinopoulou (Greece) congratulates the new Chair MP Mr. Moh Rejdali (Morocco) and Vice Chair MP Mr. Mohamed Khalifa. 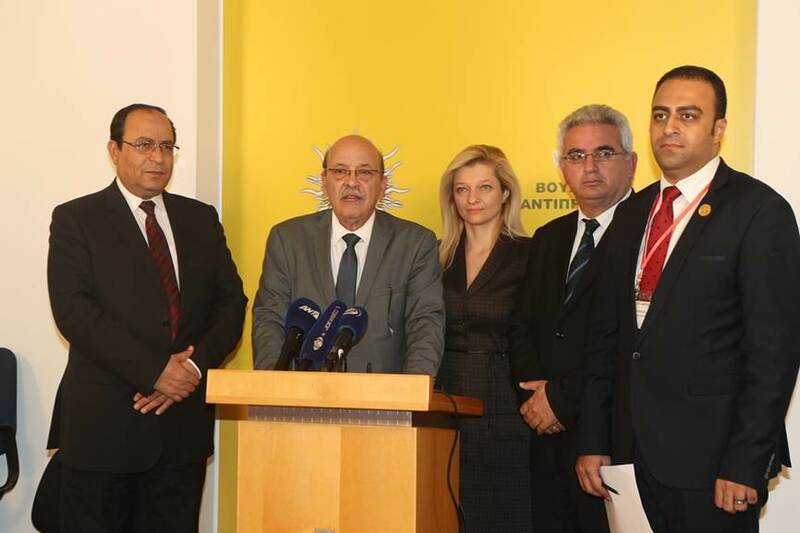 The Secretary General of COMPSUD, Prof. Michael Scoullos, stands on the right (Nicosia, 22 November 2017). 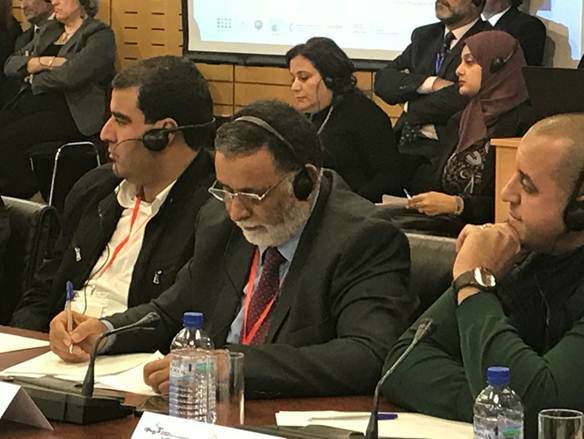 The 12th meeting of COMPSUD took place back-to-back with two Regional Trainings of the EU-funded SWIM-Horizon 2020 Support Mechanism on “Strengthening Stakeholder Engagement in the Mediterranean Environment & Water Agendas” (20-22 November 2017) and “Education for Sustainable Development in the Mediterranean” (22-24 November 2017). The Cyprus events brought together more than 100 key stakeholders from 20 countries (Albania, Algeria, Bosnia and Herzegovina, Bulgaria, Croatia, Cyprus, Egypt, Greece, Italy, Israel, Jordan, Lebanon, Malta, Mauritania, Montenegro, Morocco, Palestine, Tunisia, Slovenia and Syria) along with representatives of the United Nations Environment/Mediterranean Action Plan, UNESCO, UNECE, Union for Mediterranean (UfM) and League of Arab States (LAS) participated. The President of the House of the Representatives and Chair of the Parliamentary Committee for the Environment of Cyprus, Mr. Adamos Adamou, hosted a session on the 22nd of November 2017 at the House of Representatives of Cyprus that was dedicated to the role of Members of Mediterranean Parliaments in promoting Education and Awareness for Sustainable Development at all levels of Education in the region, both “formal” carried out within the schooling system and “non-formal” carried out by NGOs and other stakeholders in cooperation with schools, etc. 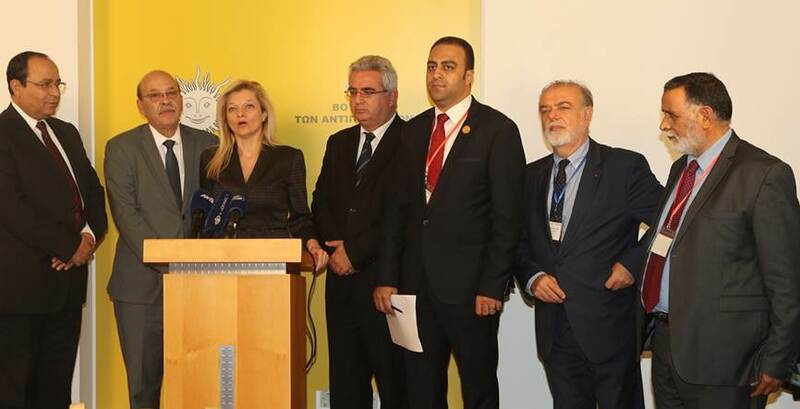 Med MPs addressing the Cypriot telemedia (from left to right: MP Hegazi El Sayed (Egypt), MP Adamos Adamou, President of the House of the Representatives and Chair of the Parliamentary Committee for the Environment (Cyprus), Dr. Dionysia-Theodora Avgerinopoulou exiting Chair of COMPSUD, MP Kyriakos Chatzigiannis, Chair of the Parliamentary Committee for Education (Cyprus), MP Mohamed Khalifa (Egypt), Prof. Michael Scoullos, Secretary General of COMPSUD and Team Leader of SWIM-H2020 SM, MP Moh Rejdali, new Chair of COMPSUD (Morocco) (Nicosia, 22 November 2017). The Regional Trainings were co-organised by the SWIM-H2020 SM project, the Ministry of Culture and Education of Cyprus, the Cyprus Pedagogical Institute, the Water, Climate and Development Programme (WACDEP) North Africa of the Global Water Partnership and the UfM labelled BlueGreen MED-CS Project and Mechanism. New COMPSUD Chair, MP Mr. Moh Rejdali (Morocco), the COMPSUD Secretary General Prof. Michael Scoullos and the Minister of Culture and Education of Cyprus Mr. Costas Kadis at the opening session of the 1st Meeting of the Mediterranean Committee on Education for Sustainable Development (ESD)/ SWIM-H2020 SM Regional training on ESD (Nicosia, 23 November 2017). The new Chairman of COMPSUD, MP Moh Rejdali (Morocco), keeping notes in the Cypriot Parliament, Nicosia, 22 Nov 2017.